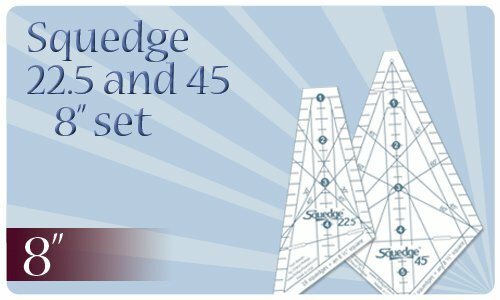 Put together the two pieces make a standard Ten Degree Wedge for 50" circles. Package Includes: A bridge to connect the two pieces (This is repositionable! ), Pattern for the quilt shown here. 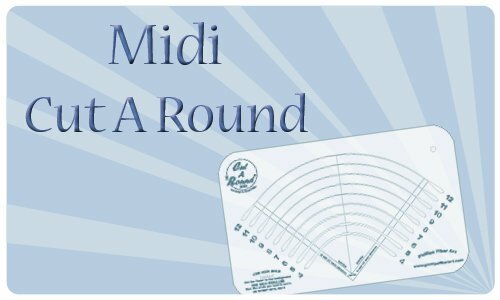 The Mini Ten Degree Wedge Tool makes 25" circles. 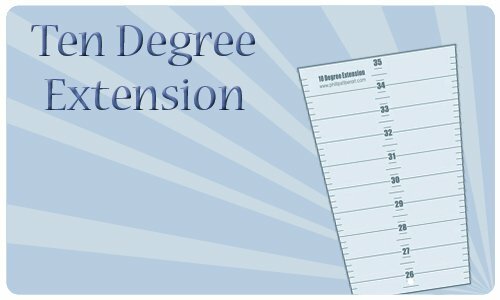 Add this extension to your Ten Degree Wedge for circles as large as 70" in diameter. 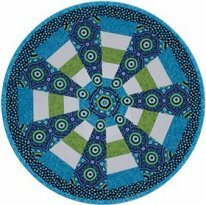 The Backing card includes a terrific, yet easy pattern for a large spinning circle quilt or round table cloth. it to your Ten Degree Tool! Works with the Two Piece Ten Degree Tool as well. 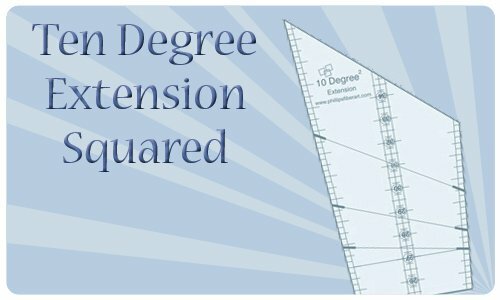 Add this extension to the Ten Degree Wedge Tool to make a square from a circle. The square is 54" x 54". difference---it isn't! 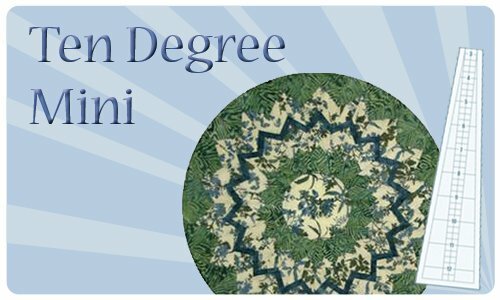 It gives your decagon designs a whole new twist. 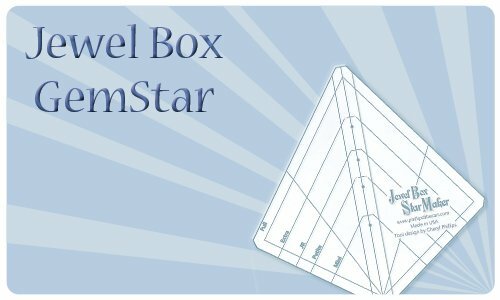 Pentagons are not the only thing the Jewel Box GemStar makes. As it's name implies, it also makes stars with five points. 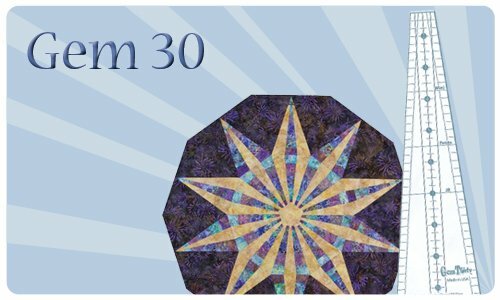 The stars can be made as floating appliques or sewn into the Gem 10 seams. 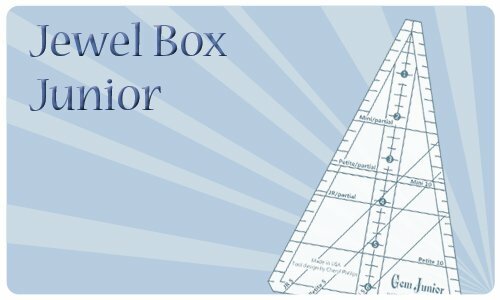 Now make all your favorite Jewel Box designs SMALLER! It's really two tools in one--both a smaller Gem 10 and a smaller Gem 5 in one tool. 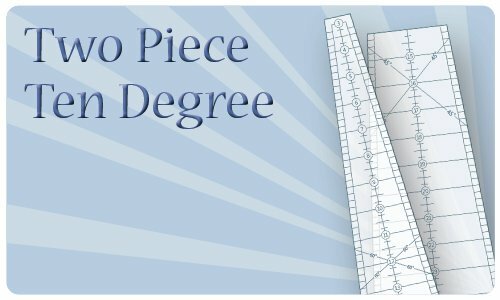 +Bonus Pattern +Framing Templates +conversion chart = one great deal! Results look like paper piecing... but it's not! 16" finished square (16 1/2" unfinished) with 24 Squedge pieces. 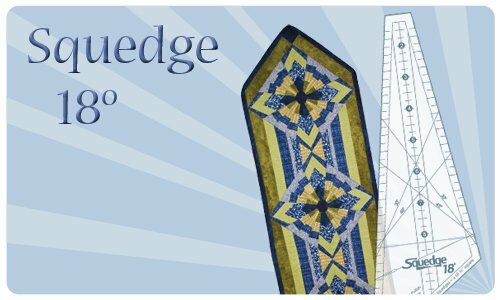 a terrific table runner, 22" x 72". backing 1 1/4 yd, binding is 1/2 yd. 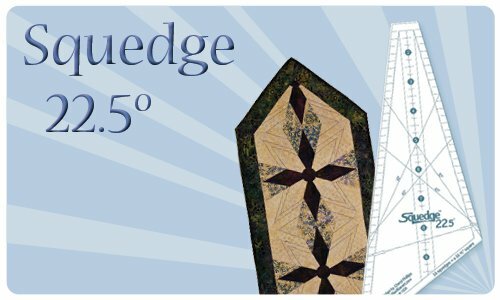 The 30 Degree Squedge makes a 16" finished square (16 1/2" unfinished) with 12 Squedge pieces. 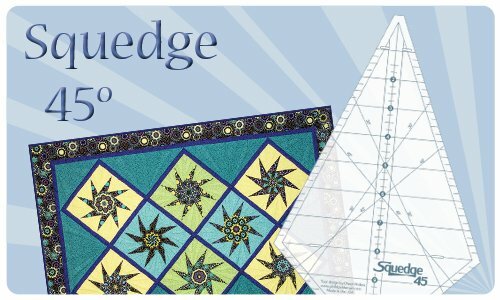 A whole new angle for Squedges!! 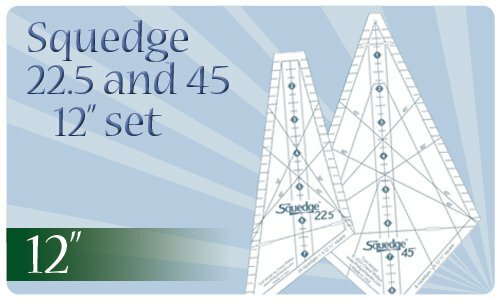 The Squedge 45 is the largest of the Squedge family taking only 8 pieces to make your 16 1/2" square! 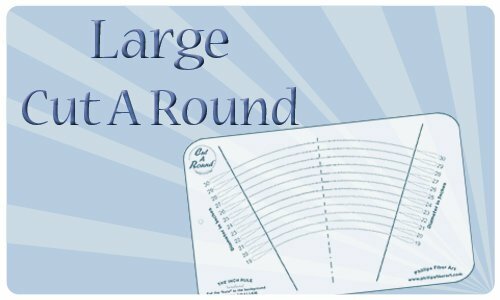 Cuts 4" to 12" circles. 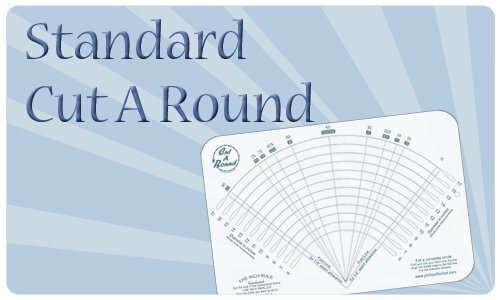 Cut perfect circles with ease. A simple slice of a foldedfourth and viola! You have a perfect circle. Use a 45 mm rotary cutter. Instructions for cutting and framing circles are included with each tool. Cuts 6" to 17" circles. Cuts 18" to 30" circles. 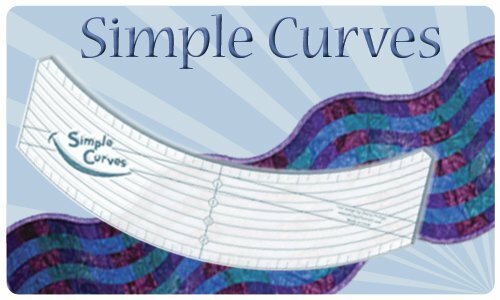 As it's name implies, the Simple Curves Tool is a simple gentle curve... Easy to Cut and Easy to Sew. 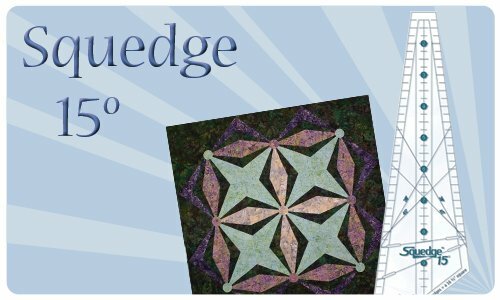 Open the packaging to find a bonus pattern for this 21" x 70" table runner made with five half yard pieces. Clear instructions and colorful graphics make the project simply a snap. The packaging back shows you how to make a 10" square. Make four into a block and the fun begins. 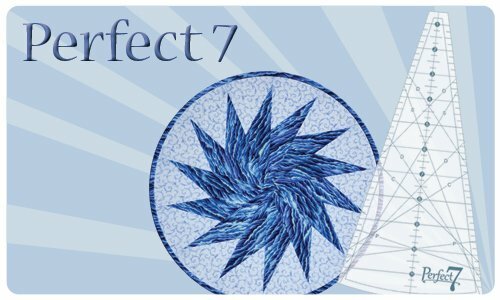 The amazing Perfect 7 has SEVEN free patterns right in the packaging!! 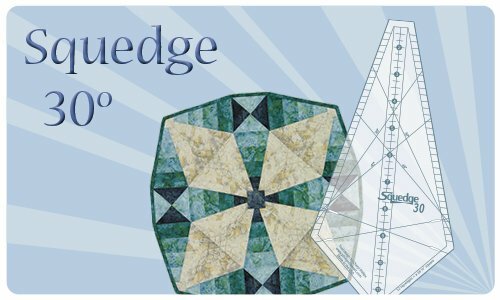 The wedge has a curved bottom edge to create a smooth 24" circle. 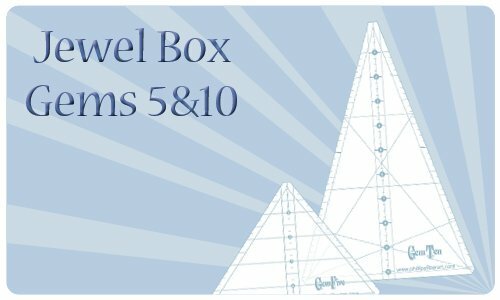 Now you can easily make a SEVEN point star!